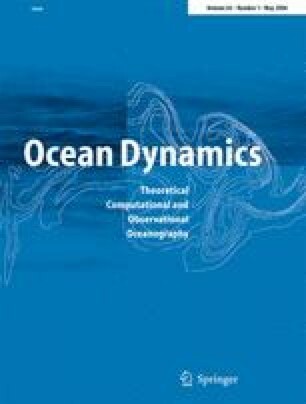 Several downscaling techniques, comprising fully dynamical and statistical–dynamical methods applied to near-shore local wave climate, are tested and assessed in terms of wave statistics with respect to the added value that can be achieved compared to larger scale data. The techniques are applied for the example of Helgoland, a small island in the German Bight. It was found that an improved representation could generally be obtained from all downscaling techniques by comparing the near-shore wave climate. Based on a balance between the required computer resources and the improvements achieved, it is suggested, to this end, that a dynamical–statistical approach based on high-resolution coastal wave modeling and linear regression provides the optimal choice. We would like to thank Gerhard Gayer and Heinz Günther for the numerous valuable discussions and help with the K-model. We are grateful to Dieter Schrader from the BSH (Federal Maritime and Hydrographic Agency) and Olaf Outzen from Oceanwaves GmbH for providing us with observational data and useful comments. We want to thank Eduardo Zorita who helped us with statistical methods, provided subroutines for the Analog and CCA methods and gave useful advice. We also thank Norbert Winkel and Andreas Pluess from BAW for kindly providing topography and water level data.